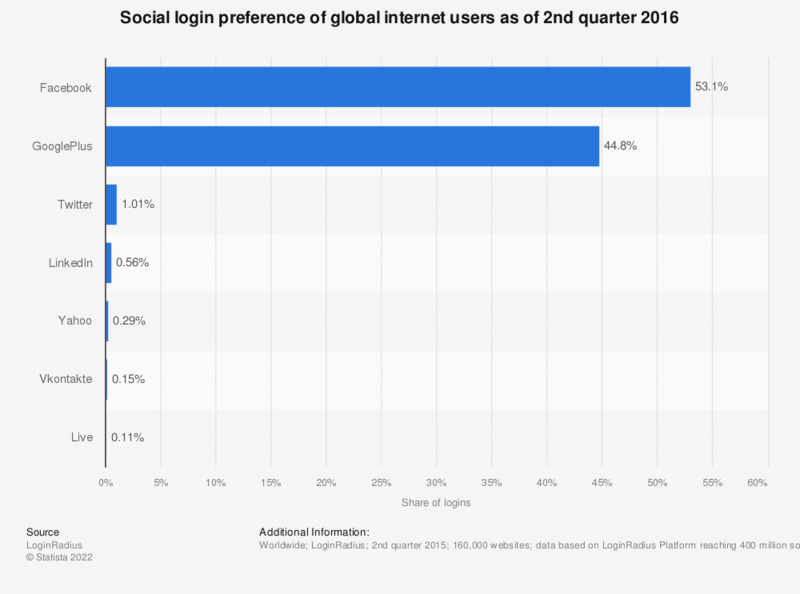 This statistic gives information on the preferred social login ID used by internet users worldwide. During the second quarter of 2016, data analysis revealed that 53.1 percent of social logins were through a Facebook account. Approximately one percent of internet users used their Twitter account to login to a website.